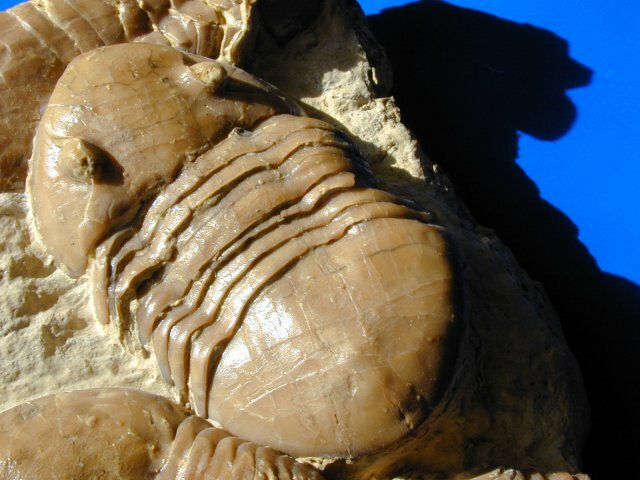 This plate has two large and complete and two partial Homotelus bromidensis. These plates were relatively common a number of years ago. 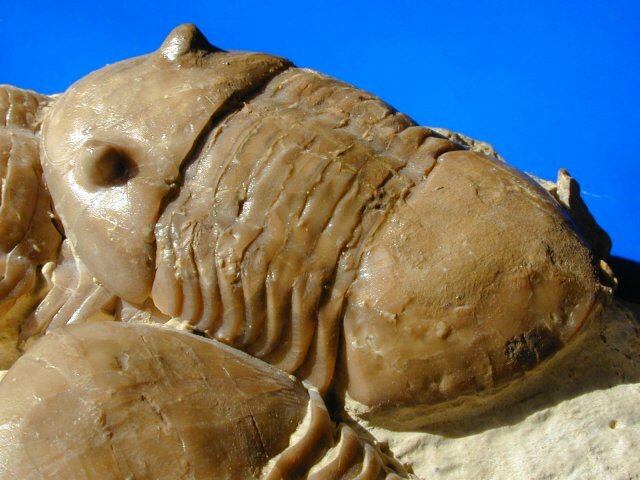 These trilobites from this site take an enormous amount of time to prepare. 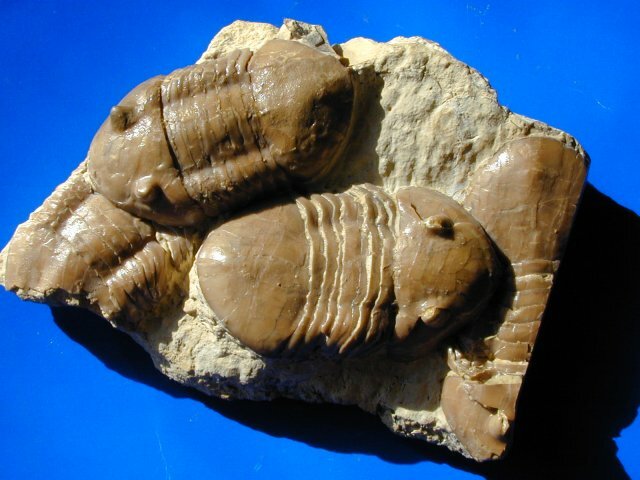 The specimens are normally buried within a very hard limestone matrix. Note the nice light chocolate color against the muted yellow background matrix.